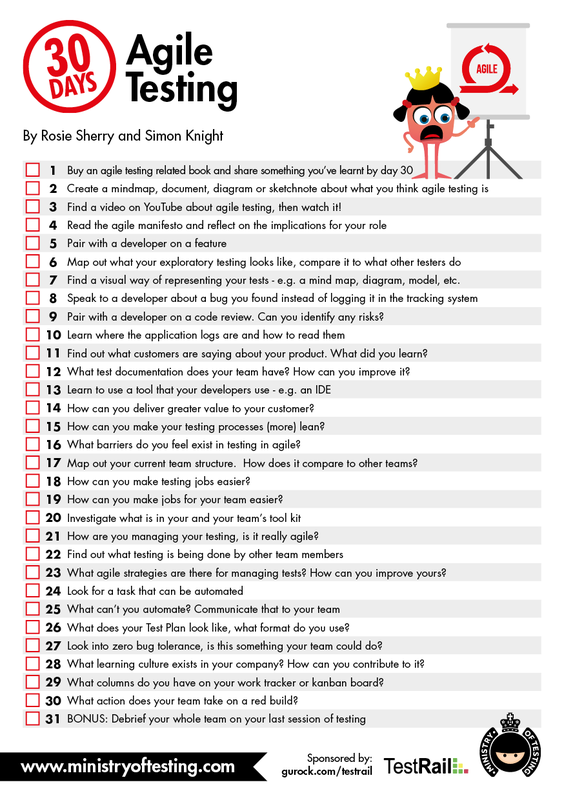 Ready for another awesome 30 Days of Testing challenge?! Great! We've got a new challenge all ready for you to take part in! The theme this time is Agile Testing and this challenge has been kindly sponsored by TestRail. The goal is to tick off as many of the challenges as you can. You can do this in your own timeframe, or you can join us in our joint community effort. We will be encouraging the community to share their progress on this challenge from the 1st of September 2017.